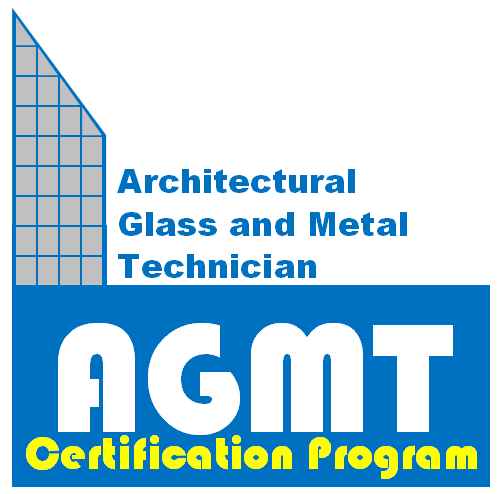 Would you like to be a part of the Architectural Glass and Metal Technician (AGMT) Personnel Certification Program beta testing or help proctor or examine candidates once the program is up and running? The AGMT Program is currently accepting applications for those looking to proctor or examine candidates (application below). AGMT Proctors play a critical role in the examination process. They help administer the written and performance-based (physical) portions of the AGMT exam, helping to ensure the exam is kept secure, and that it is delivered consistently to each candidate. 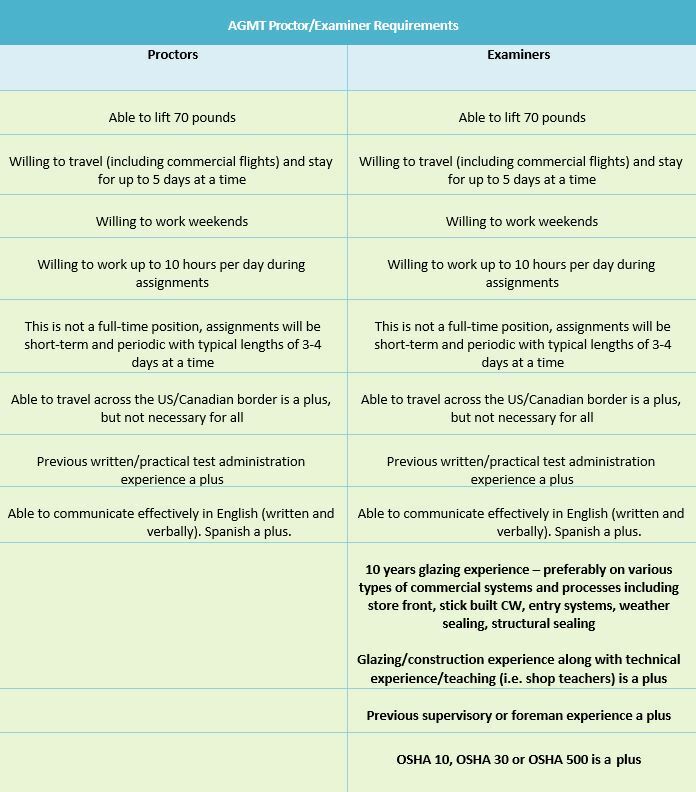 Proctors are also required to setup computers and/or hand out paper copies of the written exam and assist with setup and candidate flow on the performance-based portion. They are also required to verify the identity of candidates and monitor tests in progress. Proctors collect completed exams and return them to the AGMT Program main office for review. AGMT Examiners are crucial to grading the performance of candidates on the performance-based (physical) portion of the AGMT Exam. Examiners will not only witness and grade candidates as they take the exam but will help setup and tear down components of the exam. Examiners also verify the identity of candidates and monitor tests in progress. Training for both Proctors and Examiners will be provided by the AGMT Program. Travel expenses/compensation for training will be handled as below. For those who apply, we will send out details ahead of scheduled training events. All materials will be provided. In the absence of some other form of compensation and financial support, Proctors and Examiners will be retained as independent contractors (form 1099). Appropriate compensation and travel expense reimbursement will be provided. Thank you for your interest in participating in the AGMT Program.